← How many books have you read this year? Mende was sold to a wealthy Arab family who lived in Sudan’s capital city, Khartoum. So began her dark years of enslavement. Her Arab owners called her “Yebit,” or “black slave.” She called them “master.” She was subjected to appalling physical, sexual, and mental abuse. She slept in a shed and ate the family leftovers like a dog. She had no rights, no freedom, and no life of her own. Normally, Mende’s story never would have come to light. 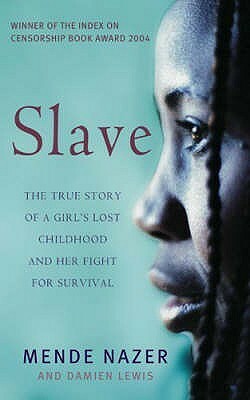 But seven years after she was seized and sold into slavery, she was sent to work for another master—a diplomat working in the United Kingdom. In London, she managed to make contact with other Sudanese, who took pity on her. In September 2000, she made a dramatic break for freedom. One of the girl’s from work brought this one in for me to read. It came highly recommended. This is one of those books that makes you really think about the world. 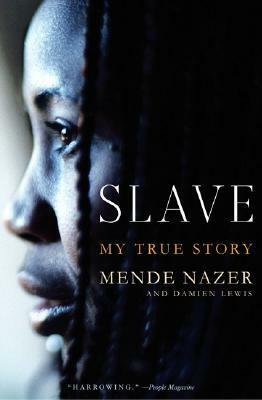 It tells the story of Mende, a girl who grew up in Sudan and was kidnapped from her tribe to become a slave. Mende is an interesting character. As a young girl she was almost a bit of a brat, quite spoilt and outspoken. Which made it even more terrible when her childhood and innocence was stolen from her. The writing was simplistic, but the pace moved well. This is a relatively short read considering the intense subject matter. I’ve never really read a book like this before, but this one makes me want to read some others, because I think it’s important to know stories like this. It really made me appreciate my good fortune in life. In short, everyone should pick up this one. It has some great reviews on GoodReads and really teaches you something about the world we live in. I had spent so many years convinced that those who had held me captive and treated me as their slave held ultimate, unlimited power over me. This entry was posted in Book Reviews and tagged 4 stars, book blogger, book review, books, little brown, memoir, mende mazer, publisher, reading, slavery, Writing. Bookmark the permalink. A great review. Looks like one of those books that although is out of the genre I read… I would still pick it up and read it. Thanks for the book suggestion! That’s such an interesting and considered review. Thanks. I’m very sorry, I didn’t realise the link to one of my posts would appear in my response. This was completely unintentional. I hadn’t realised your new site likes to do things like that! I’ll make sure it doesn’t happen again. Sincere apologies. Thank you for reviewing this book. A difficult subject yet it is important that we are aware that this tragically happens every day somewhere- and not necessarily in a distant country.